NOTE: If your engine is currently equipped with the taller (11-1/2" Tall) Risers these will not be the correct height. The taller risers are only available from Volvo Penta as OEM parts p/n 3862627. 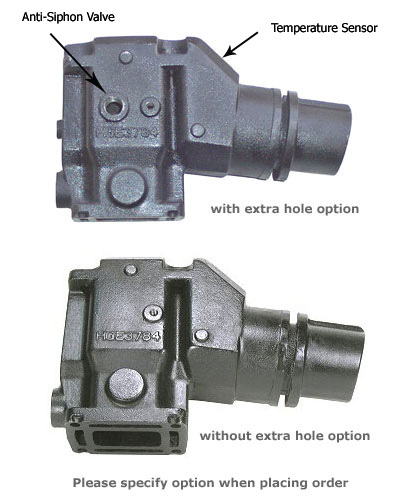 The Industry's only Cast Iron Electrodeposition Coated direct replacement exhaust products. This product is not only coated on the outside surface but on all inner surfaces including the water jacket. For Volvo Small V8, 305cid and 350cid, and V6 marine engines. This riser OEM p/n's 3852374-2, 3863061 riser. Includes mounting gaskets and new fasteners.